We do things our own way in New Orleans, and baking is part of that ethos. 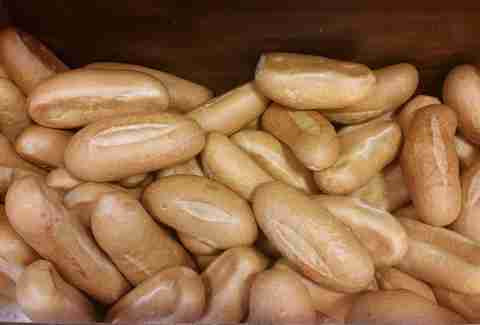 From the light, soft, and crumbly French bread used for po-boys that is distinctly NOLA, to an amazing array of king cakes (those delicious cinnamon brioche rings topped with icing for Mardi Gras), bakers here are cultural institutions known for their longevity, quality, and consistency. Over the past few years, a new crop of bakers have come to town offering new spins on traditional favorites, or something new altogether. We’ve done the (devastatingly delicious) hard work for you when it comes to finding the best baked goods in New Orleans, so you’re guaranteed to have a sweet treat wherever you stroll. 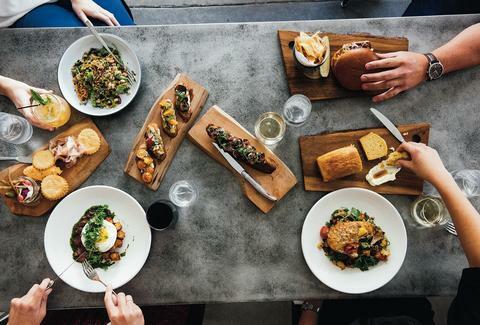 The brainchild of Besh Restaurant Group pastry chef Kelly Fields and baker Lisa White, this bakery serves a variety of loaves of bread, sweet and savory pastries, and treats like salted chocolate chip cookies and Rice Krispie bars. Willa Jean also offers a full sit-down menu for breakfast, brunch, lunch, and dinner, but the front case of goodies is a sight to behold. Well known for its chocolate confections (including a to-die-for chocolate king cake during Carnival), Bittersweet Confection also offers fresh-baked bagels, biscuits, scones, muffins, and croissants. Have a craving outside the area? 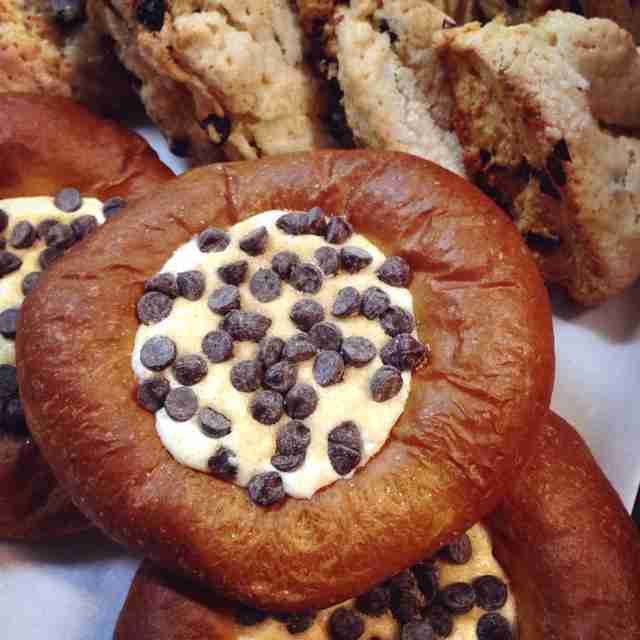 Fear not -- the bakery recently opened a second location in the food hall/community center St. Roch Market. Gracious bakes all the breads for its delicious sandwiches, along with killer breakfast pastries, traditional French confections, and original creations like the hazelnut “Kermit” cruffin (we like a good pun almost as much as sweets) and the pretzel croissant. 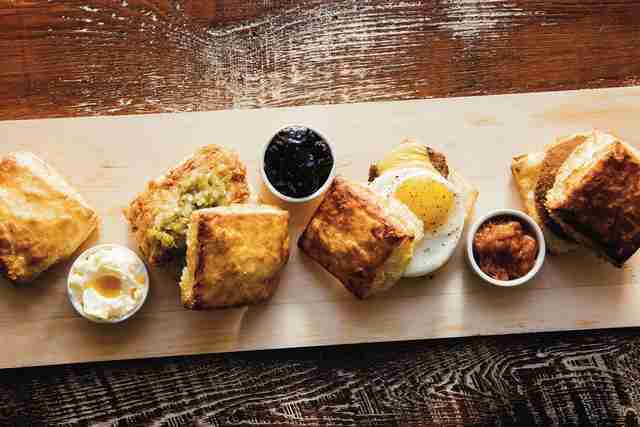 Swing by for brunch and try the biscuit breakfast sandwiches, bagels, and twice-baked French toast. And for lunch, the meatloaf sandwich is dangerously habit-forming. This vegan-friendly bakery and coffee shop offers a wide variety of bread loaves along with tea cakes, vegan croissants, and tartines. Breads on Oak is also committed to locally sourced ingredients, so this is the place to bring your hippie friend(s) for sure (or, you know, any conscious foodie). We have it on good authority that this spot is also a hit with the meat-eating, gas-guzzling set. Although it may feel like you’re going to the end of the earth for a bakery, you’re just in the easternmost point of New Orleans. 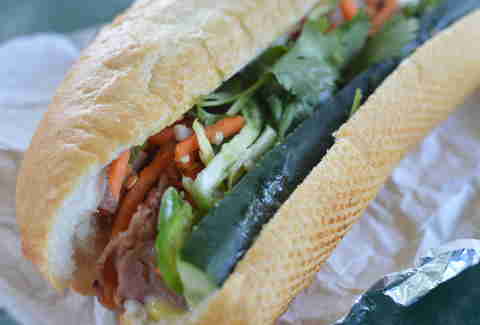 Dong Phuong Bakery, located in a community with a significant Vietnamese population, keeps it real with Asian pastries and super-cheap banh mi sandwiches on house-baked pistolettes (also used in po-boy and banh mi/pho joints all over town). Pick up a mung bean moon cake, mochi, or steamed banana cake with coconut sauce along with a Vietnamese sausage or grilled pork banh mi -- which are a steal at $3.25. 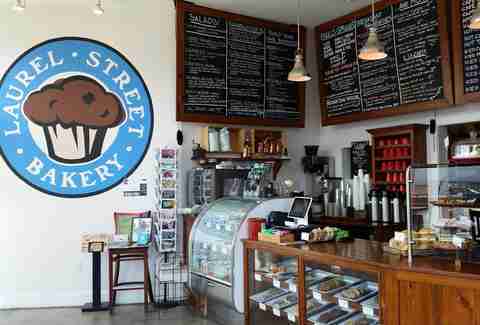 In the land of hipsters, this vegan- and gluten-free-friendly bakery may sound gimmicky, but it is the real deal. Get badass pastries like the maple bacon sweet potato biscuit, fig rosemary scones, vegan orange sweet rolls, chai spice blondie, or gluten-free and vegan tart slice of the day, made with seasonal ingredients. If you can’t get enough, come by for breakfast and chow down on vegan biscuits & gravy. This bakery is also a full cocktail bar -- an idea so brilliant, it’s mind-boggling no one thought of it sooner. Booze and carbs, perfection together. The house special is doberge, a multi-layered cake with custard between the layers and covered in fondant (and there are many kinds available to satisfy your sweet tooth), along with dobites and salty balls. We dare you to try some non-sweet options, like the pimento cheese sconewiches -- and, of course, don’t forget to wash it all down with a unique craft cocktail. This bakery started out on Laurel St Uptown, but moved to S. Broad St. Once you get past that confusion, get down to business with house-made bagels and a schmear, or as part of a breakfast sandwich. Laurel’s sandwiches are made with house-baked bread, and sweets like turnovers, coffee cake, muffins, and croissants are not to be missed. This bright and cheery coffee shop/bakery serves bagels, egg-stuffed croissants, donuts, crumb cake, scones, brownies, and blondies. All the breakfast and lunch sandwiches are served on house-baked bread, biscuits, or bagels, and there’s always a huge array of chocolate confections on display. Hopefully your eyes aren’t bigger than your stomach. A traditional French-style, family-run bakery, O’Delice offers breakfast pastries as well as cakes, cupcakes, and cookies. Try the baklava, rum balls, and Key lime tart in addition to the traditional selection of muffins, croissants, and scones. Stop by for lunch and grab a sandwich, or plan ahead and order a king cake for Mardi Gras (O’Delice ships worldwide, so your less-fortunate friends and family can still taste NOLA goodness). A tartine is a fancy way of saying an open-faced sandwich, where spreads and fillings are piled atop a fresh or toasted piece of bread. This traditional French bakery and lunch spot serves some killer tartines, with everything from pork rillette & pate, to onion marmalade & salmon. Be sure to try the classic brie & ham sandwich on baguette, and a wide variety of salads (including the city’s best tuna Nicoise salad). Home of your humble author’s favorite king cake during Carnival (apple- and goat cheese-filled, please), this bakery cafe is a neighborhood community space. House-baked biscuits and bagels are put to great use with breakfast sandwiches, with full egg breakfasts and omelettes available as well (the boudin & eggs is an excellent selection). Cake Cafe also carries croissants, sandwiches, and cupcakes. Pro tip: cupcakes are a dollar when you order a meal for breakfast or lunch. District’s flagship location on Magazine Street has elevated the humble donut to an art form with varieties like Vietnamese iced coffee, dark chocolate orange, strawberry basil, and peanut butter walnut honey. Indulge your inner child, and don’t overlook donuts for lunch -- the griddled donut sandwich, called a “croquenut,” it out of this world. If donuts aren’t your style, District also bakes kolaches and biscuits, and its Uptown location also has a wide variety of hand pies. 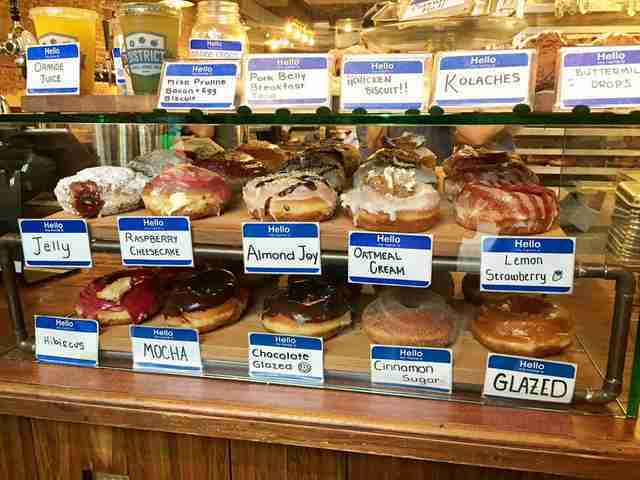 Donuts, quick breads, and the eponymous buttermilk drop can be found at this local favorite. What is a buttermilk drop? Well, it’s kind of like a donut hole, but more substantial, made with buttermilk, coated in cinnamon sugar, and (proudly) invented in New Orleans. The Tremé location is the original, but the new Lakeview neighborhood location is making quite a name for itself. 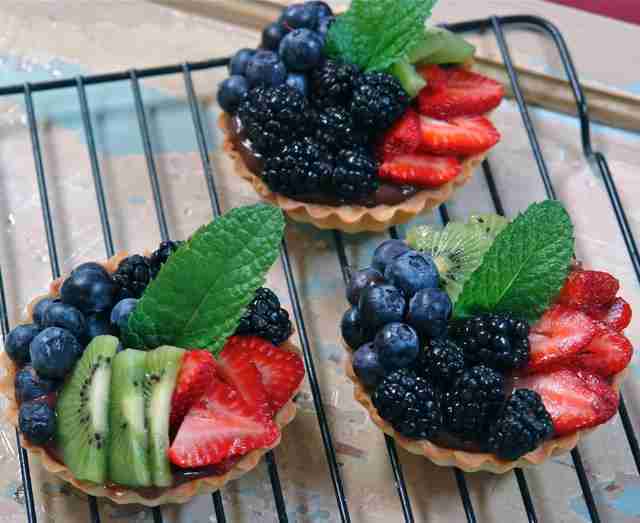 With two locations in Metairie just outside of New Orleans proper, Maurice French Pastries is the invention of Frenchman Jean-Luc Albin, who came to New Orleans with classical training and a dream to make gorgeous, butter-laden cakes and pastries. 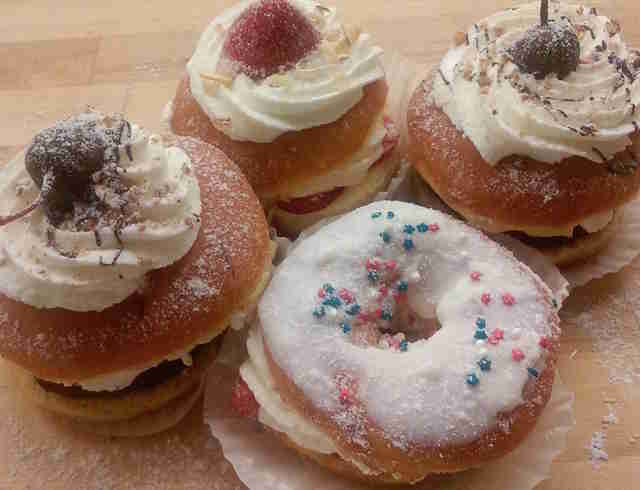 Try European specialties like kugelhopfs, Le Croquembouche, doberge, and Paris Brest. 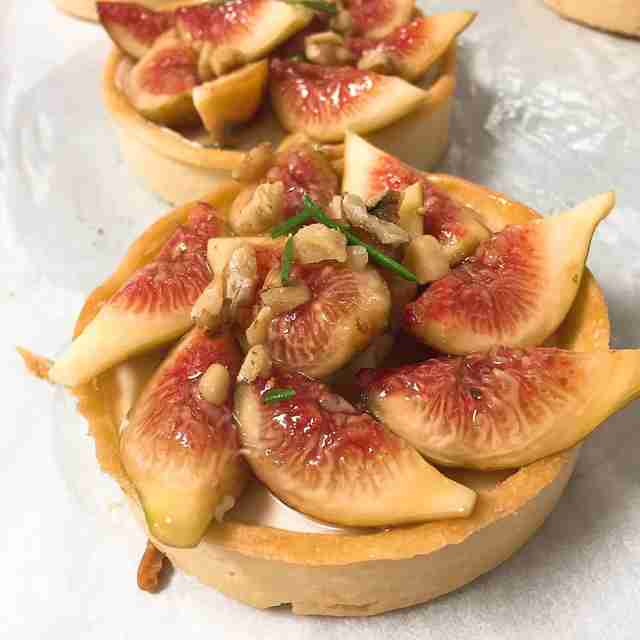 Another French bakery with several locations, Chez Pierre offers traditional treats like petit fours, palmier cookies, cream puffs, Napoleons, tarts, cheesecakes, and eclairs. The bakery also honors its self-proclaimed, French-influenced, Cajun-inspired, Vietnamese-American menu with Cajun meat pies and a lunch menu that includes banh mi, pho, and vermicelli bowls. This French-Vietnamese bakery family has been owned and operated for almost 30 years by Vietnamese refugees, and is well-known for its French bread, king cakes, and hand-shaped breads. It also serves traditional pastries made with puff pastry with a variety of fillings, as well as plain, almond, and chocolate croissants. Nora McGunnigle lives, works, and eats in New Orleans, and could really go for a couple salty balls right now. Or a buttermilk drop.